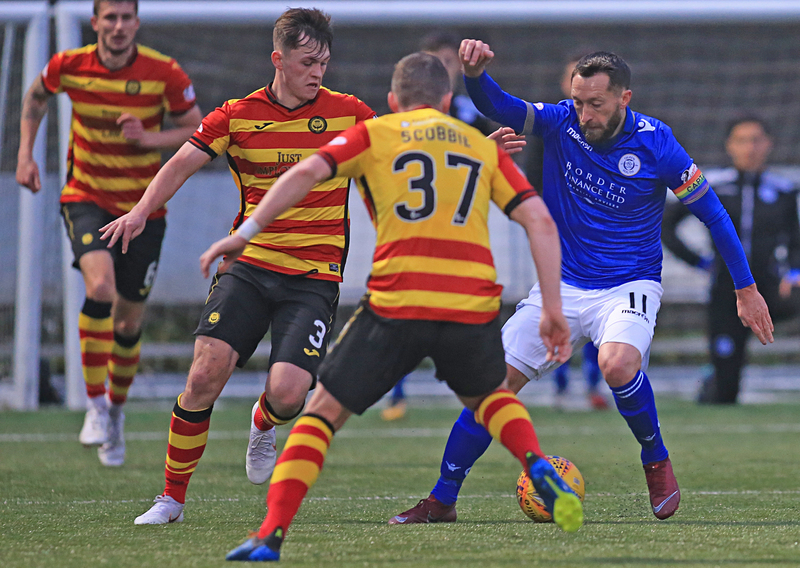 A top quality piece of finishing from Stephen Dobbie was enough to give Queens their first league victory in five games and move them to within a single point of fourth placed Inverness. 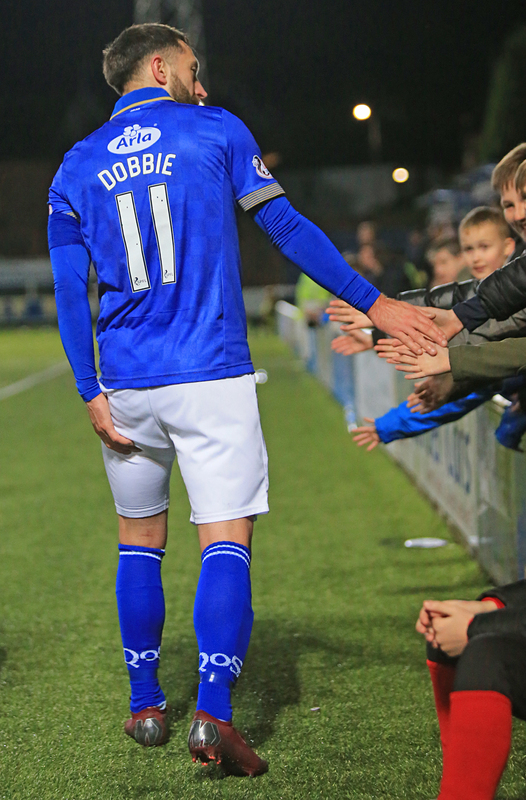 In a game that produced plenty of chances for both teams, it was Dobbie`s clinical finish that proved to be vital, however the winning goal - Dobbie`s 29th in all competitions to date - was followed by some concern for Queens as the striker appeared to damage a hamstring after running away to celebrate. The result was probably a little harsh on visitors Partick, who at times played football that belied their lowly league position, but they were unable to capitalise on some decent approach play, and as a result they slipped to their 11th league defeat of the season and now prop up the Championship table. Queens made 2 changes to the team that started the Cup game against Formartine, with Alan Martin, and Gary Harkins both being recalled, with Jack Leighfield, and David Norman making way. Although Queens got the match underway, it was the visitors who started the game on the front foot and after winning a couple of early corners, they had the game`s first scoring chance when Spittal and Erskine combined well, but Spittal could only hit a low drive past the post, and as they continued to push forward a neat turn and shot from Fitzpatrick wasn`t too far away from finding the target. The midfield battle was being won by Bannigan and Erskine, and as they continued to dominate the opening quarter of an hour, a cross into the danger area almost found Doolan, but a combination of Callum Fordyce, and Michael Doyle worked the ball to safety. 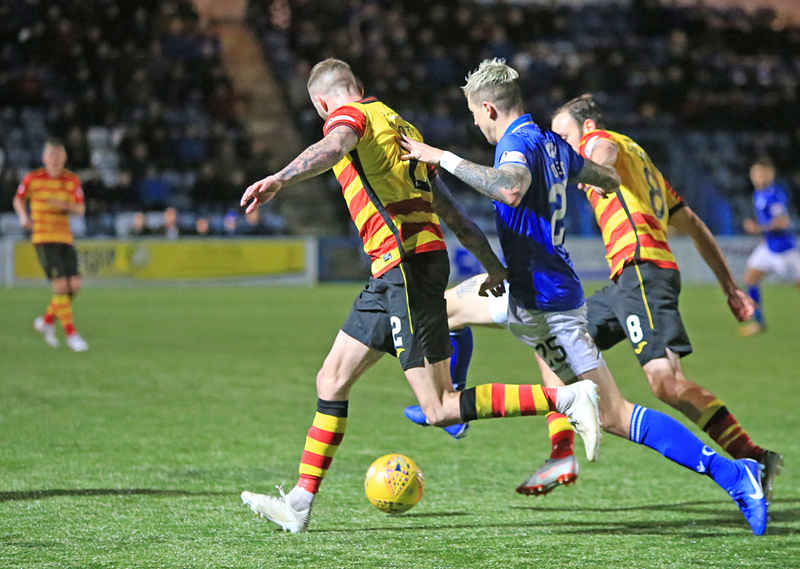 Queens had struggled to find any rhythm in the opening period, but a quick break down the left that saw Jordan Marshall link well with Josh Todd presented them with their first chance to test Thistle `keeper Sneddon, but when the cross fell to Lyndon Dykes he was unable to adjust his feet and could not get a shot away. The visitors responded quickly and only a fine diving save from Alan Martin prevented Erskine from breaking the deadlock, and when the resulting corner eventually found it`s way back out to Doolan, he had two opportunities to force the ball home, but on each occasion the Queens defence were able to bloke his efforts. Just past the half-an-hour mark Queens worked themselves an opening when good pressing from Dykes won back possession that allowed Dobbie to make progress down the right, and his early cross into the box looked to be running into the path of Josh Todd but Elliot came across to clear the danger. The opening 15 minutes or so certainly belonged to Thistle, but as the half progressed, the game became more even as both teams continued to look for the opening goal, and once again an overlapping run from Marshall saw him get in behind the Thistle defence, but unfortunately Dykes could not quite make anything of the opportunity. The half finished with Queens having the better of the play, and following a Harkins free-kick, Kyle Jacobs was unable to keep his shot on target. 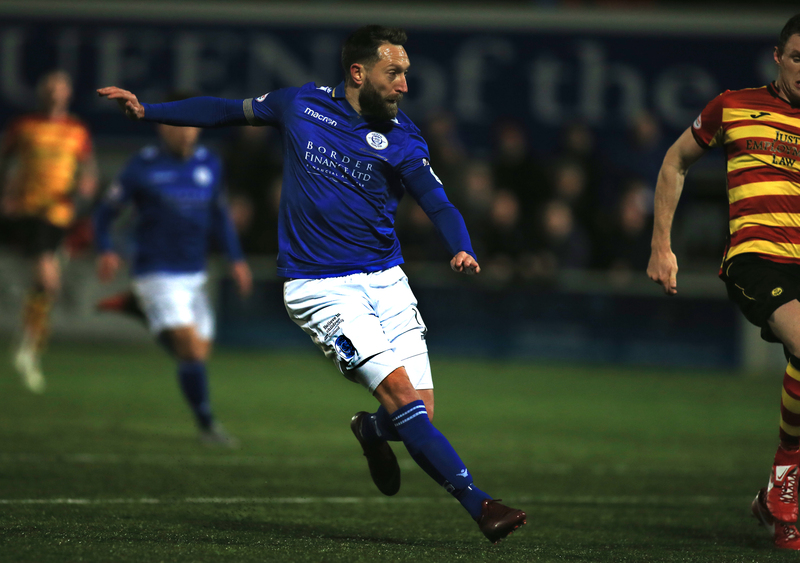 It had been a fairly quiet half for Stephen Dobbie, but he came very close to adding to his goals tally minutes before the break when his low right- footed strike flashed only a few feet wide of the far post. The interval was reached moments later after a first half in which both teams had very presentable opportunities, but neither side were able to find the breakthrough. 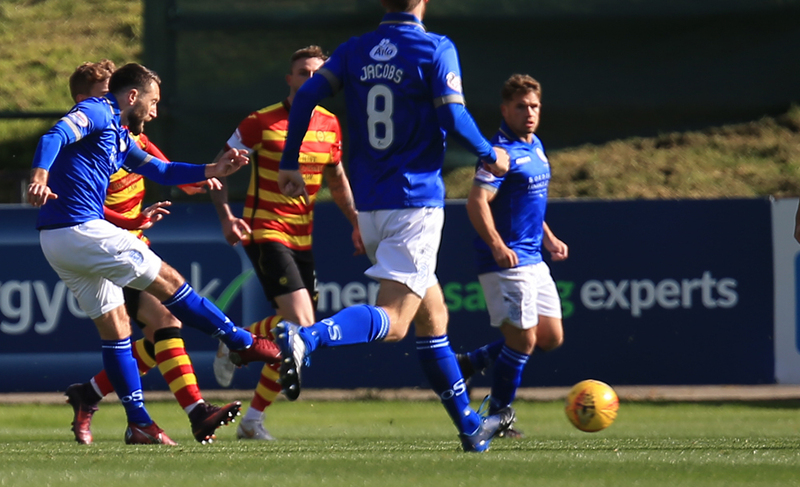 Much like the opening period of the first half, the second forty-five began with the visitors having the better of the play, and promising youngster, Aidan Fitzpatrick was gradually imposing himself on the game as once again Thistle looked nothing like a team who had only claimed one point since their 3-2 win over us some 10 games ago. Alan Martin held on to make a comfortable save from a McGinty header, and a free-kick from Spittal was headed narrowly wide by Scobbie as once again Thistle were unable to take a chance when it came along. For the first time in the half Queens launched a quick counter-attack led by Andy Stirling down the left, and when the ball was whipped into the danger area, Bannigan was on hand to clear the ball to give Queens their first - and as it turned out, their only corner of the game -, which sadly was wasted. Stirling did well moments later as again he delivered a cross from the left, but Dykes didn`t get the connection that he would have liked and the chance had gone. Queens made their first change on the hour mark when Adam Frizzell replaced Andy Stirling, and once again as the half continued, Queens started to become more involved in the game. 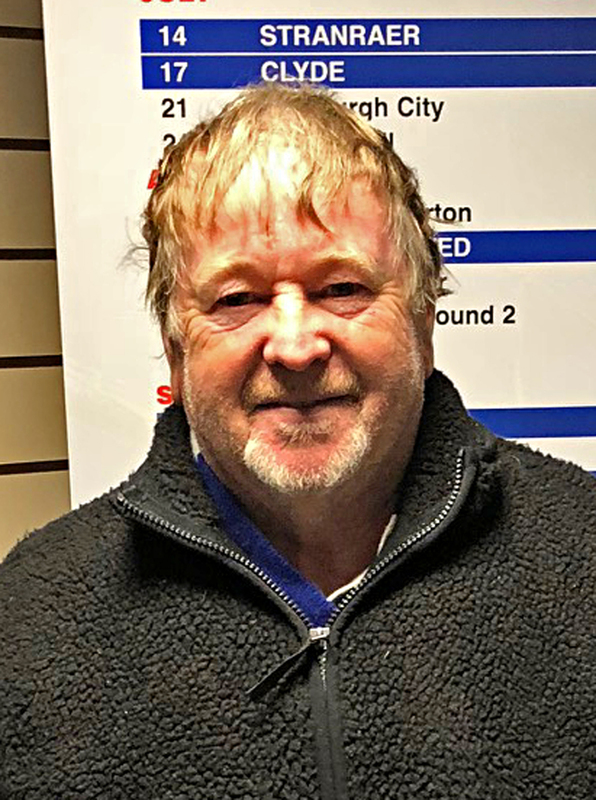 A foul on Dykes led to a free-kick that was eventually worked out wide to Scott Mercer on the right and when his cross was met a diving header from Dykes it looked as though Queens had finally broken through, but with `keeper Sneddon beaten, the ball slipped inches past the far post. After scoring for the first time last weekend, Scott Mercer fancied his chances again on 68 minutes, but this time with his right foot his low shot was turned away by Sneddon as the Thistle `keeper was finally forced into making a save. Queens made a second change that saw David Norman replace Josh Todd with 20 minutes left, and then a snap shot from Dobbie wasn`t too far off target, and when a shooting chance arrived for Queens from a set-piece minutes later, Dobbie was unable to hit the target as he drove the ball straight into the wall. 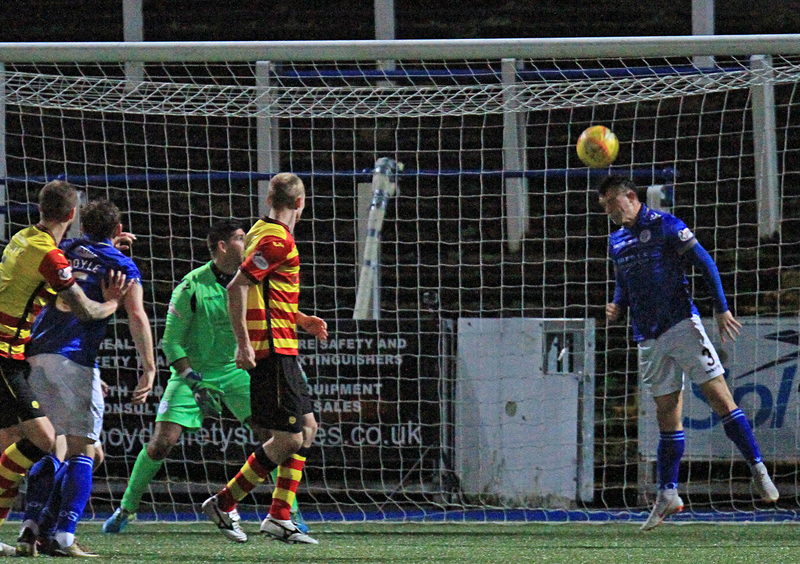 On top for the first time in the game, Queens came very close to grabbing the lead on 78 minutes when Dykes connected well with a shot from just outside the box, but could only watch on as Sneddon produced a very good diving save to keep the scores level. 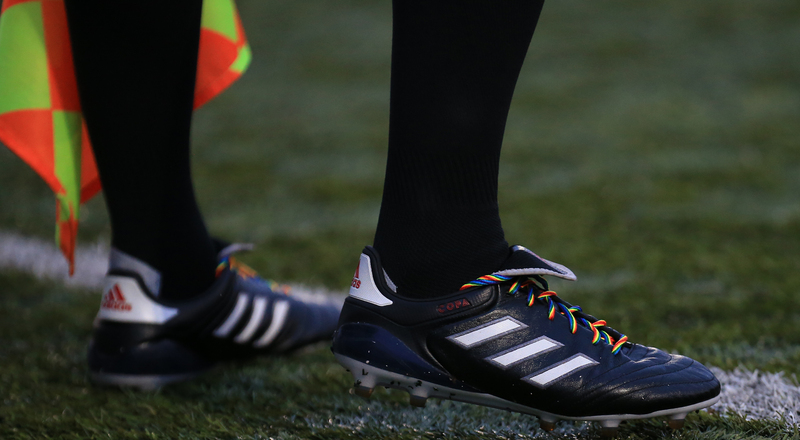 The final 10 minutes of the game were very open and both teams carved out opportunities to score. Firstly Thistle thought they had scored when McGinty powered a header from Spittal`s corner goalwards, but with Alan Martin well beaten, Jordan Marshall was in the right place at the right time to head the ball off the line, but just moments later after 82 minutes Queens found the goal that would win them the points. A nice touch from Lyndon Dykes sent Stephen Dobbie clear, and where others with less composure might have faltered, the striker kept his cool and slipped the ball beyond Sneddon to score his 15th league goal of the season. Unfortunately, as he made off to begin his celebration, he appeared to pull up with a muscle injury that subsequently saw him replaced for the final few minutes by Connor Murray. Two minutes later the travelling Thistle support were on their feet celebrating what they thought was a leveller for their team, but although Fitzpatrick finished well, the youngster was clearly offside and the goal was correctly ruled out. However, what was far less clear was the incident that could have given the visitors a chance to take something from the game as Spittal went down under pressure from two Queens defenders inside the penalty area. With everyone connected with Thistle screaming for a penalty, referee McLean pointed for a goal kick. Personally, - adopting my Arsene Wenger stance- it was difficult to see from my position, but if it wasn`t a penalty, then it was an astonishing dive that should have resulted in a booking for the Thistle player. That was to be the final incident, and in a game of fairly presentable half chances, fortunately for Queens the one real chance that they got fell to the right player who once again produced a clinical finish, although the injury to Stephen Dobbie after the goal will prove to be very worrying should it turn out to be long term. After the final whistle several Thistle players, and manager Gary Caldwell confronted the referee, which ended with Spittal being shown the games only yellow card, but the majority of the 1508 fans in attendance left happy with the result as Queens claimed just their third home league win of the campaign. 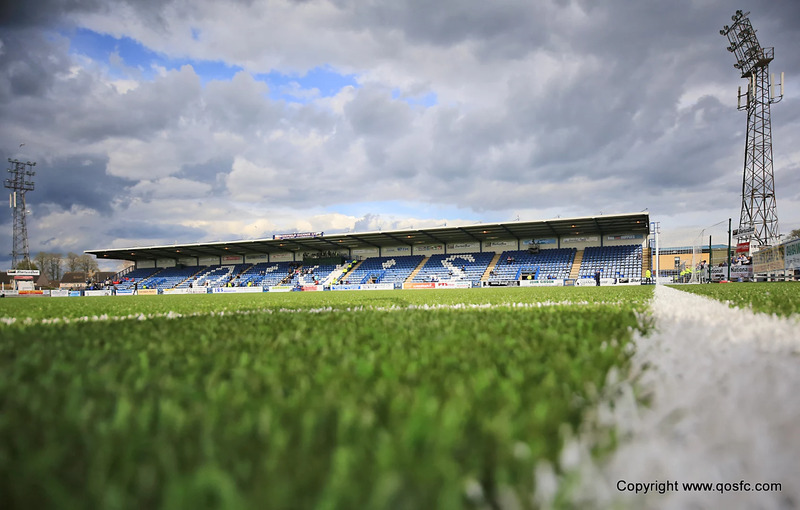 14:31 Welcome to Palmerston for today`s Ladbrokes Championship game against Partick Thistle. 23 min Not much of note to report so far. Thistle the better team in the opening 20 minutes. 83 min Dykes wins the ball back and lifts a ball over the defence for Dobbie to slot under the keeper. 16:51 A hard earned three points. Thistle had the bulk of possession and territory but Queens had plenty of chances.